Today I want to talk about a couple of gunners who've been tremendous in the last couple of matches. Sure, Robin and Koscielny is getting a lot of praise which they rightly deserve. But other players have helped us getting in the groove too. Some have helped us with their tremendous work rate, stamina and others with their creativity. But, they've all shown plenty of passion throughout this period. If we want to finish in a good place this season this attitude of theirs will help us get there. This article will talk about those players. 5) Aaron Ramsey: Ramsey has been tremendous this season, undoubtedly. This is the Ramsey we know. After Cesc and Nasri left and Wilshere got injured Arsenal were in deep trouble. There just wasn't any creativity there. Arsenal looked toothless without that touch of creativity, without that penetration, that moment of magic that aforementioned players gave us. But, lo and behold Ramsey stepped up. When people were doubtful that we'll ever see the same Ramsey, who played so well before he broke his leg by that horrific tackle by Shawcross, but much like the Eduardo situation; he came back as if nothing ever happened. He looked a bit jaded at the first couple of games but then started firing on all cylinders. The distance he is covering in every match is absolutely insane. He is bringing on that touch of creativity back into Arsenal midfield. With some brilliant Hollywood passes he's added some goals to his tally this season. Wenger isn't wrong when he says that he sees Ramsey as a tremendous all round midfielder who can reach double figure every season. Unlike Cesc, Ramsey is not just a passer but he is creating his own box-to-box personality. A lot of credit to him for coming back so strongly from that horrible injury. He and Wilshere together is indeed a mouthwatering partnership. 4) Mikel Arteta: When this season started, Arsenal was down to the bare bones and in desperate need for midfielders. Arsene Wenger brought in Mikel Arteta. Mikel is a certainly a good player. He maybe not as efficient as his compatriot Cesc but he is certainly Arsenal quality. He was expected to start just behind the striker just where Cesc did. But Wenger put him in more of a holding midfielder role behind Ramsey and beside Alex Song. And since then Mikel has reinvented himself as a player. He has excelled in the deep-lying playmaker role. That's where he used to play before he went to Everton. His ball retaining ability, his short passes, and his play dictating ability has changed Arsenal's team dynamics from the core. He recently got his first assist in the Chelsea game. His going forward ability means Arsenal always has an extra man n the edge of the box when on attack, and he is a good set pieces taker as well. I was a bit worried about his medical record at Everton, but he's played almost every match so far. Now, that he's more familiar with his new team-mates I'm sure there's more to come for him. 3) Per Mertesacker: Nothing new to say about the Big German. He’s taken a little bit of stick after that soft goal John Terry scored, beating him to the ball. But overall he's been tremendous for us. Without any adjusting period to the speed of game in England, he was thrown at the deeper end from the first game. We've still conceded quite a few goals from set pieces but we look a lot more assured when it comes to set pieces now. With him on defense we've seen some real good defensive performances from Arsenal, both Marseille games comes to mind. He brings a certain aura of experience and calmness into the Arsenal back four. As he settles more, we can expect more to come from him. You can ridicule him for his forehead but he is a dangerous player. His dribbling ability, his running at the defences has helped Arsenal quite a bit; his assist for RVP in the Udinese game, his assist in the Chelsea game, and in the Stoke game proves that. He can score too, he showed that against Stoke. His workrate is high. He has gelled in very well with the other gunners. And, either way you have to love someone who bitchslaps Joey Barton! His only problem so far is, he gets pretty confused about when to pass and when to shoot. But he's getting the hang of it pretty quick. There is surely more to come from him. Nasri had seven goals and five assists in his first season. Let's see how far Gervinho can get. 1) Alex Song: Now comes the hero of the day. Alex Song. He's been astounding this season, I repeat astounding. His work rate is absolutely tremendous. In every match he played he's worked like a horse. His positioning, ball retaining ability is vital to Arsenal. He's getting assists in big games too, Tottenham and Chelsea game comes to mind. In the last three season he is our most improved player. I can't believe this guy got booed just couple of seasons ago. And, I love his raw passion. We need more of that. I hope he is one of the players we tie down on long contracts along with RVP and Sagna. We can't afford to lose him. That's it for today. All praise goes to God who is kind enough to let us go through good times again. And, as I praise these players...I hope I didn't jinx them! Long may their form continue. As I said earlier all of them are vital in our journey to go forward. This was a long article but I enjoyed writing it for you. I hope you enjoyed reading it too. See you in a different article, different day! Ciao from Bangladesh! It's been what now? Ages? I have been loaded with school work and decided to drop journalism. Now to the main deal. Arsenal's rejuvenation doesn't come as a surprise at all as it was the only thing that could happen after the disastrous opening to the season. Eight wins in ten is an attestation to the fact and the demolition of Chelski at the bridge means that confidence is sky high at the moment. The match against Marseille was a drab draw but it is worthy of note that Marseille just sat back and expected to hit us on the counter which never materialised due to the composure of the back four. Our "knee-jerk" reactions buy have been impressive and are settling well into the team and availing us options in all the departments in the team. Most worthy of note is Mertesacker who was criticized for his lack of pace but his positional judgement and aerial presence was overlooked. In most of our games, he has been performing with so much experience that whenever he is caught off the ball, the whole backline gets exposed. Against Chelsea, the goal Terry scored, the replay showed that Per wanted to put his body in the way so as to block him from playing the ball but was not fast enough in that occasion. Against Marseille also, all aerial threats were taken care of by him. Another person who has caught the eye too is Andre Santos who has added the Brazilian flavour into our attacking play as evident in the Chelsea game where his mesmerizing forward plays, exposed Bosingwa on various occasions and the goal he scored was calmly taken. Arteta has been played out of position, but he has proven his mettle and covered for Song whenever he ventured forward. Park has featured sparingly so I can't say much of him but his quality did show in the goal against Bolton. Now all said and done, we are now faced with the test of West Brom who took four points from us last season, we were brought back from the fifth heaven against Marseille, we have to realise that we can't score five every time, but we have to be wary of complacency because that would be our only enemy this time that everything is going well for us. I am sure Wenger is experienced enough to know that if we lose a match now, it would have a negative effect on the team and means the team's morale will be down again. We should approach the West Brom game with utmost importance and caution and three points and the Premiership summit could be beckoning. Emirates Airlines is taking the lead in expressing widespread concern among FIFA’s corporate sponsors about the world soccer body’s handling of the worst corruption scandal in its 107-year history. “We are seriously thinking about not renewing our partnership with FIFA beyond 2014,” Emirates divisional senior vice president of corporate communications Boutros Boutros told Australia’s B&T Media. FIFA expressed surprise at the comment and said it was seeking clarification from Emirates. It said that it has “very positive relationship with all of our commercial affiliates and media rights licensees.” It said sponsors had demonstrated their confidence in FIFA by extending contracts until the 2022 World Cup. FIFA generated about $4 billion from television and marketing contracts for the last World Cup, held in South Africa in 2010. It’s sold out its global sponsorship packages for the next tournament in Brazil in 2014. Nonetheless, a series of FIFA corruption scandals in the past year that have spooked sponsors, who pay millions to be associated with the World Cup, sport’s most-watched event. FIFA president Sepp Blatter has vowed to stamp out corruption. In the worst of multiple scandals, FIFA in July banned for life its vice president and suspended Asian Football Confederation (AFC) chief Mohammed Bin Hammam from involvement in soccer because of an alleged attempt to bribe Caribbean Football Union officials. Mr. Bin Hammam, a Qatari national, has denied any wrong doing and is appealing his ban. FIFA has further given executive committee member Worawi Makudi until December 1 to prove that FIFA development funds were invested in property belonging to the Thai football association rather than himself. A British parliamentary committee this week demanded that FIFA launch an independent investigation into the last December’s awarding of the 2018 and 2022 World Cups to Russia and Qatar. Brazilian authorities have requested Swiss court documents that allegedly link Ricardo Texeira to money laundering and kickbacks involving FIFA as well as International Olympic Committee (IOC) officials, including Nicolas Leoz and Mr. Makudi as well as African Football Confederation chief Issa Hayatou. The scandal is to be discussed next month at separate IOC and FIFA executive committee meetings who will be presented by a report into the scandal first disclosed by the BBC that was drafted by the IOC’s ethics committee. Emirates signed an eight-year contract with FIFA in 2006 worth $195 million. Along with other lead partners, including Adidas AG, Sony Corp., Visa Inc. and Coca-Cola Co., it expressed concern about claims of impropriety within the organization in May when Mr. Bin Hammam was initially suspended and withdrew his challenge to Mr. Blatter in a FIFA presidential election. Emirates’ Mr. Boutros suggested that the Dubai airline was considering its sponsorship of the World Cup because of FIFA’s lack of transparency. “As a sponsor you expect they will come and write to you in the middle of the issue or at the end of it. To them they act as if it’s nothing for sponsors. For us, in our history of sponsorship, it is the only event that when it happened our clients started writing to us saying ‘why do you support this organization?’ We don’t get into politics but we believe the situation with FIFA went beyond an internal problem and became much bigger,” Mr. Boutros said. Ever since the departure of Ashley Cole, Arsenal have never had an ideal replacement for the England international, he was replaced with a talented and error prone Frenchman Gael Clichy, Clichy had a wonderful ability to cross the ball and he had very good pace which went well with his defending and in his last couple of years at Arsenal he improved as a defender, but Clichy was never an ideal replacement to Ashley Cole, he never offered the defensive stability and the attacking prowess the England international possessed. He had a few world class moments in the form of the assist he provided to Robin Van Persie against Barcelona at the Emirates in 2010, the goal which was easily the best goal the Emirates Stadium has ever seen. Without these moments Clichy is largely a mediocre footballer who had a very shy presence in the attack and who was not so confident while defending as well; the way he cleared the ball during set pieces, largely proves my point. His refusal to sign a new deal at Arsenal was a blessing in disguise for the Gunners because he was never an ideal replacement to Ashley Cole. With his departure Arsene Wenger made a 6 million pound move for the Brazil international left back Andre Santos, and the Brazilian has so far been impressive for the Gunners except for the fact that his speed and defending is poor which is mostly because he is adjusting to the rigorous demands of English football. His dominant display in the attack has brought a certain level of confidence amongst the gunners, this was evident in the game against Chelsea, Santos kept the ball well and was often found drifting in the midfield with confidence and relative ease allowing Gervinho and Ramsey, who occasionally found space from the left flank, to break the Chelsea defence. His goal in that game showed us how he exposed Jose Bosingwa in the counter attack, when the Portugal international was caught out of his place. Arsenal could never expect all of this from their former left back Gael Clichy, the Frenchman would have allowed more space for Chelsea to attack from, and he would have rarely went forward to support the attack and create problems for Chelsea in the way Santos did, simply because he was never an ideal replacement for Ashley Cole. With all that said and a little more expected, I would conclude by saying, Andre Santos is an ideal replacement for Ashley Cole. Borussia Monchengladbach star and German international, Marco Reus, has been recently linked in the past few days to a move to the Gunners. The 22 year old is highly rated and is wanted by many top European clubs and is bound to leave either this January or during the summer. Reus is a player known for his versatility as he can play as a midfielder, winger, behind the forward or even as a striker. He's known for his excellent dribbling ability, pace, good eye for goal, creativity and trickery. Definitely an excellent talent who is reportedly valued at around 15 million pounds. Here are a few videos of him, what do you guys think? 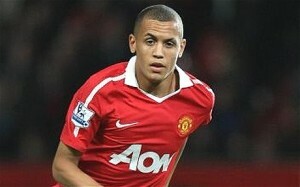 The next great prospect coming out of Manchester United is Ravel Morrison. He is a lad with great pace, passes well, has a fantastic touch, and one hell of a shot. But it's been a bit rough in his young career, getting in trouble and being immature and tonight was a fine example. He went on Twitter and complained about not starting and then he said he wished the season was over, which got a huge reaction from fans thinking he wants to leave the club. Later he said he wished the season was over so he could go to Jamaica on holiday with his family. Then of all people to tweet at him was Wayne Rooney and told him "It might come sooner than u think...." If Ravel keeps his head down and doesn't make a scene he can be a great player for the best club in the world, Manchester United. The way he's going he may end up like the next Mario Balotelli and Sir Alex won't want any player like that in his team. You were a fatherly figure to the players, and in a way, to us, Man Utd fans all over the world. You had to manage the personal lives of the players as well as their professional lives, and you always did it to the best of your abilities. Out went the partying culture at Man Utd, and its place was taken by unparalleled success. Paul Scholes, David Beckham and Roy Keane are a few of these examples. At a time when loyalty is a foreign word in any walk of life, let alone the money-driven world of football, you have shown that there are some things money can’t buy. To strive to succeed for 25 years is hard enough, to do it at one club is even harder. But to do it at a club of the stature of Manchester United is what makes the word ‘legend’ seem insufficient to describe it. The longevity can be truly illustrated only with the fact that the “kids” you nurtured are past their career and have taken to television punditry and coaching, while you still turn out on the pitch every single day, shouting instructions to the players. English football has seen more than a thousand managers come and go ever since you took over the reins at Old Trafford. You saw off the challenge of the rich Blackburn Rovers, the mighty Arsenal under Arsene Wenger and Chelsea with their rubles, all the while playing spectacular football in a run that saw us increasing our league tally from 7 to 19 over the past 20 years, silencing the Kop faithful in the process. You always placed the club above individuals, including yourself, which in my humble opinion, is the greatest trait of a great human being. You have created a legacy at Old Trafford. One that would live on even after you. Even as we rejoice our landmark league title, the noisy neighbours are raising their voices. And if there is one thing I am sure of, it is that even as I write, you are preparing to take the bull by its horns and toss it away. I am sure that every Manchester United fan will agree with me when I say that 25 years as our boss are just not enough for us. Here’s wishing you another 25! To a legend who has been in charge of the club for more years than I have been alive, that is all that I could offer you. There is a lot more to be said, but words do not suffice to truly express what I feel. I wish that someday I will make a trip to the Theater of Dreams, and see you live in action. To meet you would be a dream come true for any United supporter, and it would be no different for me. A few years down the lane, when my kids ask me who the greatest manager ever was, I would reply with dreamy eyes, “I don’t know.” Because frankly, it doesn’t matter. For, the “greatest ever” is a title given to someone who could be compared with another. 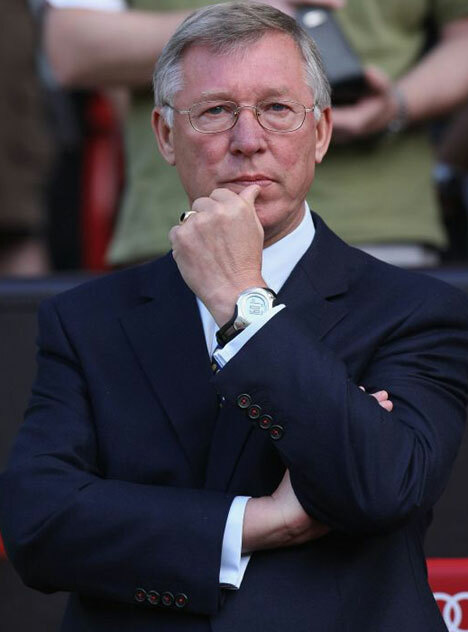 And for me, Sir Alex Ferguson is beyond comparison.